We've already had a pretty clear indication that LG was about to followup its stylish BL40 Chocolate Touch with a slightly lower-end BL20 model, but it looks like any doubt has now been cast aside by a just-revealed promo video, which shows off the new New Chocolate phone in all its swishing and swooping glory. That includes a brief look at the phone's sliding keypad (it's red), a quick once over of LG's various widgets, confirmation of a 5-megapixel camera, and a look a somewhat unique feature called Text Scan, which promises to let you capture clear images of notes or memos (though it doesn't seem to provide actual character recognition). But enough with the words -- there's two minutes of sound effects and visual overload after the break. 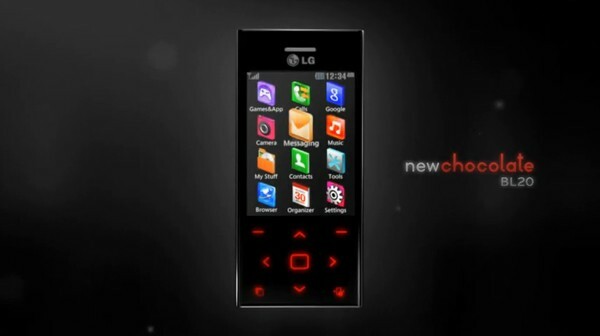 LG New Chocolate BL20 makes dramatic video debut originally appeared on Engadget Mobile on Fri, 18 Sep 2009 15:06:00 EST. Please see our terms for use of feeds.